Shaheed Bhai Surinder Singh ‘Shinder’ alias Shinda was born in Nakodar, Punjab on November 1, 1960 to his mother Surjit Kaur and father, Superintendant of Police (S.P.) Sardar Santa Singh Bhaur. Shinder’s father was well respected and had the rank of S.P. in the 1950’s, which was rare to come by for a Sikh in those days. Shinder was raised in Phagwara and educated at Guru Nanak Dev University. As a youth, he was credited by the surrounding communities as being a great marksman because of his track record as a hunter. In 1982 Sant Ji launched the “Dharam Yud Morcha”. These were peaceful protests occurring across Punjab in support of the Anandpur Sahib Resolution. The Sikhs of Punjab had a simple ask: for India to be a democracy in the true sense. In other words, allowing all Indian citizens to be given equal opportunity and rights, a country that would eliminate discrimination and a nation that would rid its government of corruption. The protest was being led by retired S.P. Sardar Santa Singh Bhaur in the Phagwara area. Police constables were ordered by their superior Station House Officer (SHO) Rattan Sharda to use excessive force to stop this protest. The police constables refused. SHO Sharda became furious and used lethal force to lead by example and shot dead a father of 6 children who was a close relative of Shinder. This occurred in front of Shinder’s eyes. No charges were filed against SHO Sharda due to his high rank. The locals turned to Shinder to seek justice on their behalf because he was well known and the son of a retired S.P. Shinder rode his motorcycle to the local city police station with his rifle strapped to his back and demanded the whereabouts of SHO Sharda. The police constables pointed in the direction of SHO Sharda’s office. Shinder interrupted SHO Sharda’s daily routine of reading the morning newspaper and took the needed action. After doing so, Shinder calmly exited the police station and not a single police constable pursued him. A case was registered against Shinder, but was eventually dropped. Shinder immigrated to Toronto, Canada in 1982 and enrolled himself into an electrical engineering program to further his education. Upon completion of his first year he received a scholarship to continue his studies. That very summer he visited India to get married. When arriving in India, Shinder was arrested along with his father (Retired S.P.) under the National Security Act (NSA). He was imprisoned during the attacks on the Golden Temple, the holiest shrine of Sikhs. Shinder was deeply saddened by the events that led to the attacks on the Golden Temple and even more so after the massacres that followed Prime Minister Indira Gandhi’s assassination. This assassination was in retaliation to Prime Minister Indira Gandhi’s order to invade the Golden Temple and 38 other Sikh temples with the Indian military also known as Operation Blue Star. The ruling Indian government officials used this assassination to justify and orchestrate the ruthless killings of thousands of innocent Sikh men, woman and children. This genocide demoralized Sikhs across the globe. To date, human rights organizations such as Amnesty International and Human Rights Watch are not permitted in Punjab to investigate the atrocities committed by the Indian government on the Sikhs. After being released from prison in late 1984, Shinder vowed to help Sikhs that were being wrongfully killed in India. He strengthened his relationships with Sikh freedom fighters before returning to Canada. Shortly after the Khalistan (“Khalis” meaning “pure” and “stan” meaning “land”) movement gained momentum, the State of Punjab closed international media and communication channels so that all the terror struck by the Indian government would remain confined within the State of Punjab. Shinder was disturbed by how the news and media was falsely being portrayed globally about the events taking place in Punjab – he had a Canadian’s perspective. Around this time, the Indian government had granted their immoral police force with large budgets, which were used for subsidizing the creation of rogue Sikh freedom groups. These groups were used to damage the reputation of the Khalistan movement and infiltrate the Sikh freedom circles. However, Shinder was able to leverage his father’s connections to identify and contribute to eliminating these government sponsored Black Police Cats (informants) in the Phagwara area. News reporters and media outlets were commonly known for fabricating news stories to defame Sikhs and the movement. This encouraged the politically influenced mobs to continue with the Sikh genocide. Shinder was also allegedly accused of being involved in the elimination of one or more government sponsored anti-Sikh news reporters. The founder and president of the Punjab Hindu Shiv Sena organization – Rama Kant Jalota led several anti-Sikh groups who were responsible for the tortures and killings of more than 800 youths in the Phagwara area. He was also notorious for using hydrofluoric acid to inflict permanent facial damage and cutting off the turbans of Sikh youths. 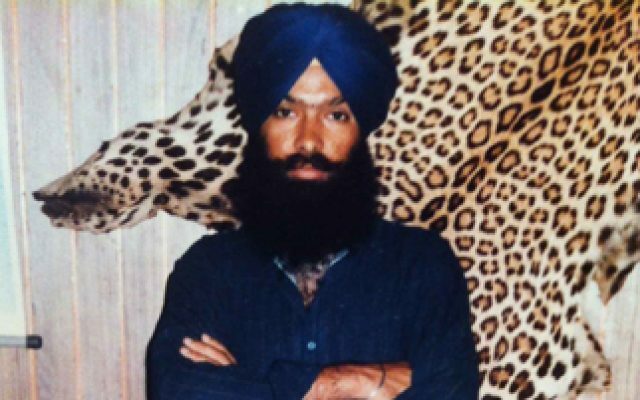 Shinder being head of the Kapurthla unit assembled a three-man team which consisted of himself, Parmjeet Singh ‘Gandasa’ and Manjeet Singh (who was driving) to carry out the mission to eliminate Punab’s Shiv Sena President. On June 19, 1988 Jalota’s car was enroute to Jalandhar and Manjeet Singh pulled up next to Jalota’s car. A fierce encounter took place with Jalota and his bodyguards. The mission was successfully completed by Shinder and team. Shinder returned to Canada shortly afterwards. Shinder had proven to be a huge obstacle for the Indian Government by violently interfering with their initiatives to crush the Sikh freedom movement. He had earned a reputation for excellence when it came to fighting against the genocide amongst Sikh communities internationally. His name instilled fear in the police officers and government officials who were supportive of the Sikh genocide. It’s been said that these very police officers and government officials would hide out when he was in town. For this reason, the Indian government had issued a nationwide warrant out for his arrest and blacklisted him from entering the country. This didn’t stop him. He managed to enter India several times even after he was blacklisted. In January 1989, Canadian intelligence arrested Shinder in Vancouver as he was clearing a security checkpoint to board his flight to India. They had received a tip from an anonymous source alleging that Shinder had been creating and distributing artificial Indian government visa stamps to allow Sikhs back into India to fight against the genocide. Shinder had proven to be a powerful and credible activist in the Sikh struggle. For this reason, the Sikh community across Canada came together and posted for his bail. In February 1989, Shinder received news that his cousin Manjeet Singh along with several other friends had been tortured and killed by police ambushes led by Senior Inspector of Police (INS also known as Thanedar) Pargat Singh who reported to “the butcher” S.S.P. Swaran Ghotna. INS Pargat Singh was bragging that he had killed off “the untouchable Shinder’s” cousin and that Shinder would be next. Shinder was determined to get back to India. He arranged for transportation to be driven across the Niagara Falls border and entered the USA. He successfully managed to board a flight to India from New York. Shinder disguised himself as a low class worker and rode a bicycle to the police station where INS Pargat Singh (the Thanedar) was stationed. Shinder had a special sweater designed with a zipper that ran from his underarm down to his waist. This provided him the double benefit of carrying his AK-47 in a concealed manner and allowed for easy access. He patiently waited until he spotted the Thanedar standing outside the entrance way of his police station having a cup of tea with two fellow officers. Shinder presented himself before them and they were all startled. An encounter ensued and Shinder quickly eliminated INS Pargat Singh. The other officers attempted to engage in the encounter, but were wounded and fled into their headquarters. The police made Shinder their number one priority and put a handsome reward on his head. They were anxious to capture the Canadian Singh who struck fear in their officers from abroad by attacking them in their very own headquarters on multiple occasions. Shinder had no choice, but to leave Punjab. A few months earlier, Shinder became close with a fellow named Rupinder Singh alias Rupi, son of Rajinder Singh alias Shera who had provided refuge to Sikh freedom fighters in the past. Shinder’s father had cautioned Shinder to be aware of his associates because many had flipped into informants. Shinder never thought this would have been the case with Rupi. Shinder’s family arranged for him to be taken to the airport with other family members. Instead, Rupi insisted that he would arrange safe transportation to the airport. Rupi convinced him to go unarmed to “avoid suspicion”. Shinder left from Rupi’s house in a taxi, which took him straight to a police ambush near Rurka train station in Ludhiana. It turned out that it was a direct order from S.S.P. Swaran Ghotna to have Shinder unarmed. S.S.P. Swaran Ghotna was known for having killed many Sikhs using brutal torture techniques for decades. Shinder endured immense torture from S.S.P. Swaran “the butcher” Ghotna and team. They took extreme measures to force Shinder to reveal information about his associates. His finger nails were plucked, one leg and one arm was broken, his feet were pierced with needles, his teeth were pulled and his tongue was cut from his mouth. It’s been said that even during the torture, Shinder continued to give Ghotna death threats. Ghotna was unable to get the information he wanted . Shinder was killed in a staged police encounter in which they claimed he was killed after being armed and actively engaged in battle with security forces. Shaheed Bhai Surinder Singh ‘Shinder’ was martyred on June 17, 1989. Shinder’s father, retired S.P. Sardar Santa Singh Bhaur had received proof in form of a Black Police Cat Identity Card signed by S.S.P. Swaran Ghotna from an anonymous Punjab Police source and it was published in local news papers. Rupi was put into S.S.P. Swaran Ghotna’s protective police custody, but he was eventually captured along with two other informants by the Khalistan Commando Force (KCF). Kanwaljeet Singh Sultanwind, Nirmal Singh ‘Nimma’ and Gurdeep Singh ‘Deepa’ of KCF eliminated Rupi on September 11, 1989. The KCF invited Shinder’s father, retired S.P. Sardar Santa Singh Bhaur to Rupi’s torture site. The KCF did not return the Rupi’s body to his family. Not only did Shaheed Bhai Surinder Singh ‘Shinder’ sacrifice his life for equal Sikh rights in Punjab, but also a promising future in Canada. He has left behind a legacy that will live on forever and his sacrifice will never be forgotten. Bhai Surinder Singh ‘Shinder’ was one in the handful of Western Sikhs alongside Balbir Singh Khaira, Harjinder Singh ‘Para’, Mohinder Singh Khalsa, Hardev Singh ‘Bapu’, Surinder Singh ‘Ravi’, Bhupinder Singh Kooner, Kulwinder Singh Malhi and Davinder Singh who returned to their motherland and attained martyrdom after joining the Sikh liberation movement.